L to R: Griff Wigley, Curtis Ness, Michael Lehmkuhl, Joe Thorman, JC Ingebrand, Dave Wolf, Bill Nelson, Gary Duden, John Rinn, Scott Parker. 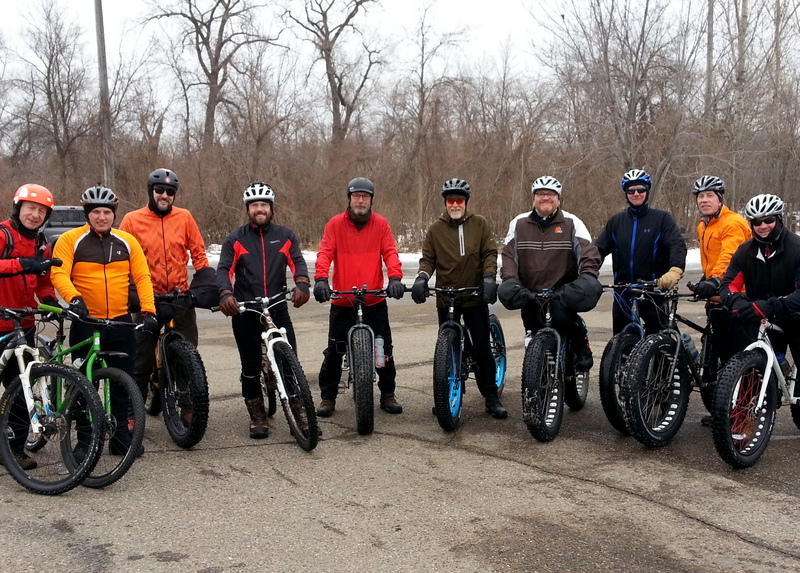 We opted to ride 8 miles west to the Bloomington Ferry Bridge (Hwy 169) trail head since several of the group had never ridden that route. We took our time, stopping several times for socializing and a little exploring on the railroad swing bridge. 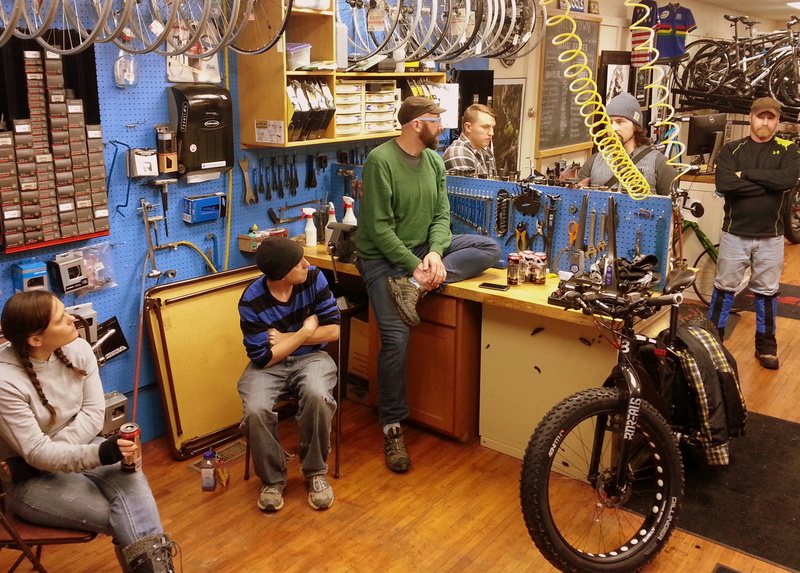 There was one mechanical, a broken chain. 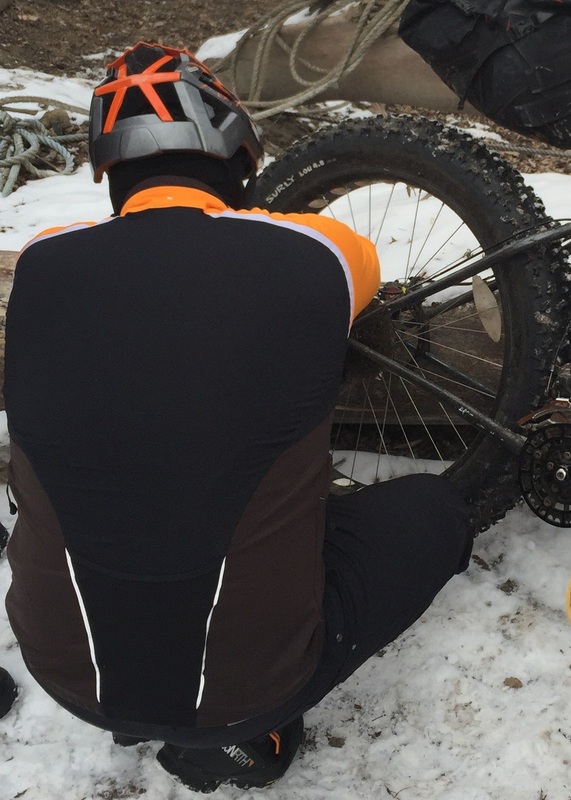 But one group member had a chain tool and Curtis Ness, CROCT board secretary and manager of Milltown Cycles in Faribault, did the trail-side repairs. Whew! There wasn’t much snow, and with temps in the low-to-mid 30s, the trail was a bit sloppy in places. 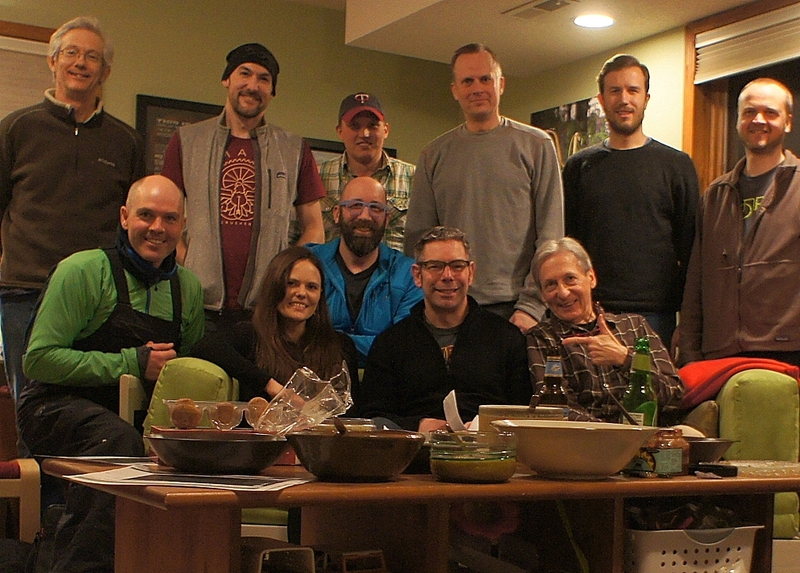 The camaraderie, however, was first-rate. We do it again on Saturday, Feb. 28. Deets here. 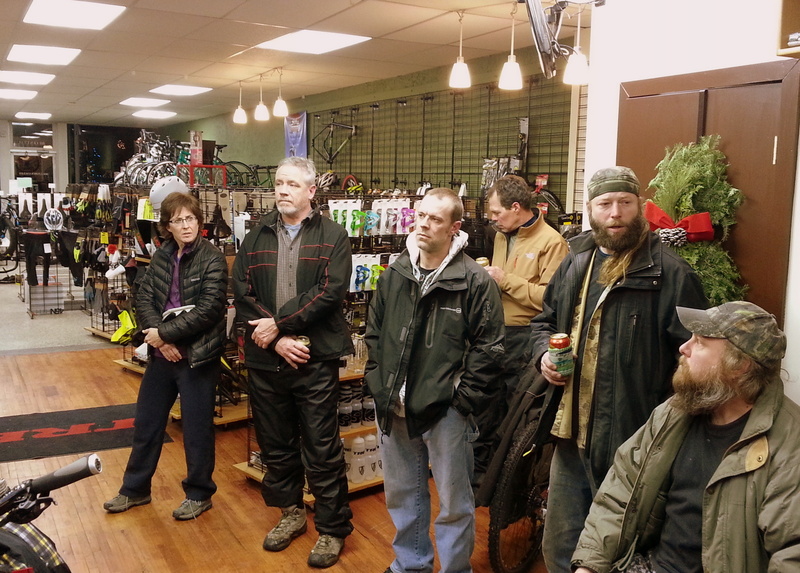 We held our December CROCT Board meeting at Milltown Cycles in Faribault last week. A stand-up meeting, mostly! 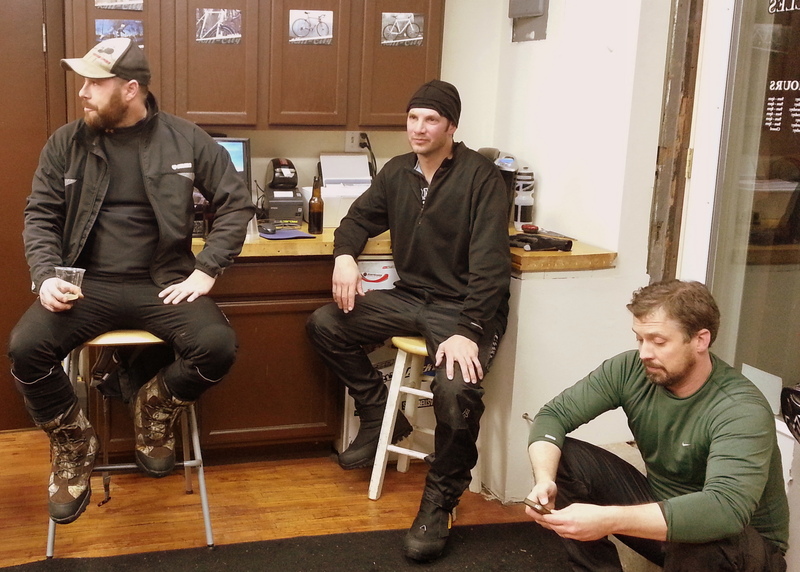 Left photo, L to R: Kris Brazil, Jerry Walsh, Brent Johnson, Dave Meehl, Phil Thorson, Joe VanBogard.